Hot, hot hot! It’s been so hot this past week. 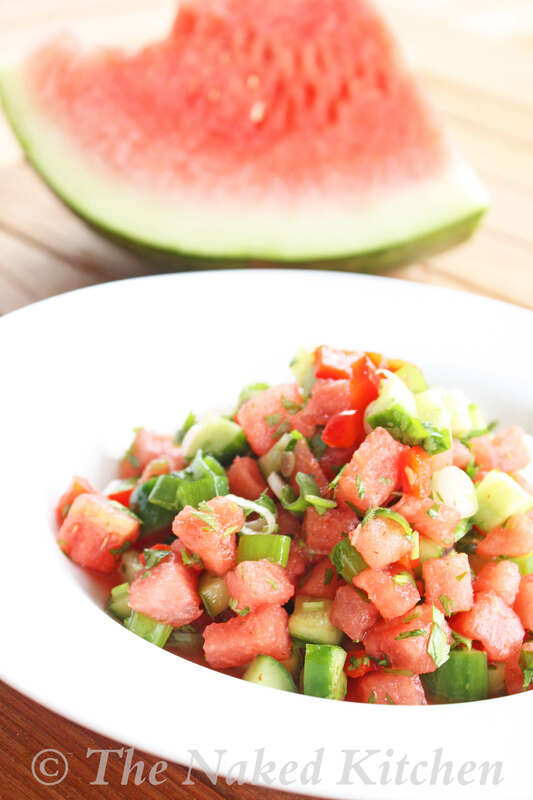 Hot weather makes me crave cool refreshing foods and watermelon is an ideal ingredient to work with. Good thing the market has been “ripe” with plump melons. Juicy watermelon, crisp cucumber, herbs, a splash of lime and a dash of hot sauce cover all the bases for a cool and clean summer sensation. Combine all of the ingredients in a bowl. Toss gently. Serve as is or toss in some frisee or serve in endive leaves. Store leftovers in an airtight container in the refrigerator for up to 2 days.